Hemorrhoids Can Be Prevented! If You Have Them They Can Be Cured! Cryotherapy (Controlled Cold) Makes it Possible For You to Treat Inflamed Hemorrhoids Yourself, At Home. 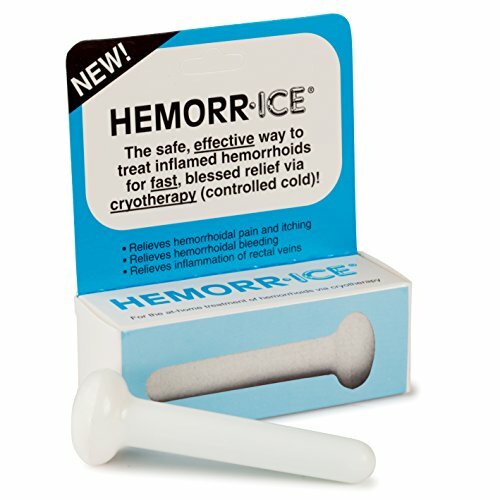 The Hemorr-ice treatment "is safe, effective and in my opinion the biggest breakthrough in Hemorrhoid treatment we have seen in the 1990's-Robert Holt author of Hemorrhoids, a Cure and Preventive. The Hemorr-ice is a real breakthrough. It is so effective that many who suffer from Hemorrhoids, so badly they are ready to undergo surgery, have found such relief they can forget about such drastic methods. Anyone can use it! No pain, no problems, nothing to learn. A special cooling liquid is sealed inside the Hemorr-ice inserter. Use it over and over again; nothing to replace. A daily treatment takes two to five minutes. Hemorr-ice cannot harm tissue. It uses no medication which means no side effects or allergic reaction. It is totally safe and effective. Here is how it works! Visualize a space-age pack applied directly to the trouble spot. Cryotherapy shrinks the blood vessels. It reduces bleeding. It promotes healing of inflamed tissues because the cold is controlled, its completely safe. You can use it ten times a day if you want to. Between applications, store the hemorr-ice unit in the freezer, for re-cooling. If you have any questions about this product by Technology 2000, contact us by completing and submitting the form below. If you are looking for a specif part number, please include it with your message.